Julia S. Gouw is Retired President, Chief Operating Officer of East West Bank – one of the top 30 largest banks in the nation that serves as the financial bridge between U.S. and China. Gouw was ranked one of the “25 Most Powerful Women in Banking” five times by American Banker magazine and has received the Los Angeles Business Journal’s “Women Making a Difference” award two times in recognition of her achievements and contributions. Gouw is also a member of the Trusteeship, an International Women’s Forum affiliate organization that connects preeminent women in leadership positions across various professional fields. 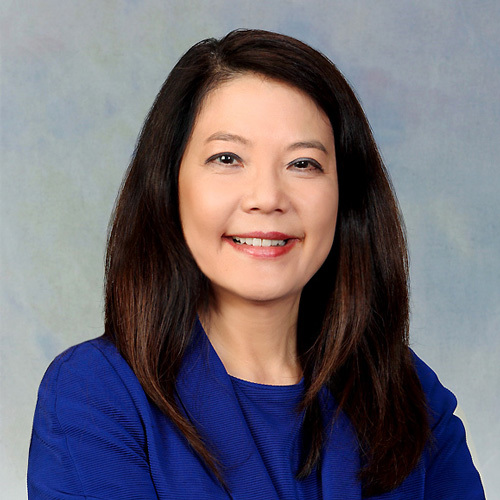 Gouw currently serves as a member of the Board of Directors of Pacific Mutual Holding Company and PacificLife Corp.
Gouw was also a board member of The UCLA Foundation and The UCLA Medical School. She is the founding Chair of the Executive Women’s Advisory Board for the Iris Cantor-UCLA Women’s Health Center. Gouw was also named Philanthropist of the Year by the National Association of Women Business Owners, Los Angeles for her philanthropic commitments. Born and raised in Indonesia, Gouw came to the United States in 1978 where she earned her B.S. degree in accounting from the University of Illinois at Urbana-Champaign.